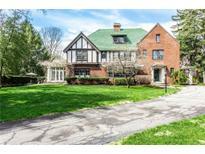 Don'T Miss This Rare Find Walkable To Eagle Creek Park! MLS#21633660. Keller Williams Indy Metro NE. 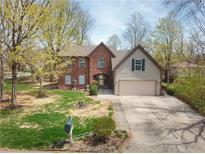 Rutherglen - Near Eagle Creek Park, make this beauty your new home! MLS#21632408. M.S. Woods Real Estate, LLC. Edenwilde - There's nothing missing in this home so make it yours today. MLS#21633546. Doc Real Estate, Inc.
Executive Manor - Roof new in 2018, and Furnace 2013. MLS#21632975. Keller Williams Indy Metro NE. Lexington Farms - Come see it before it's gone! MLS#21633688. Properties Plus. The front porch is an enjoyable place to sit and enjoy the outdoors and local trees while the rear of the property features a concrete pad as well as a shed for exterior storage. MLS#21633570. eXp Realty, LLC. Maple Lawn - This character rich home features: living room with hardwood floors, wood burning fireplace, separate dining room, bright kitchen w/butcher block counters, tiled back splash with all appliances included, renovated bathrooms, hardwood flooring throughout home, master bedroom with two separate closets, spacious basement with ample storage and a double wide driveway complete with hard to find 2 car garage with work area and newly installed garage door. MLS#21633622. CENTURY 21 Scheetz. Brockton - This one won't last long! MLS#21633565. Highgarden Real Estate. Wildcat Run - 6th bedroom with a full bath on main level. New A/C in 2013. MLS#21633378. F.C. Tucker Company. This home is perfectly situated to sample some of Fountain Square's favorite pastimes, heaps of restaurants & microbrews to choose from. MLS#21633667. F.C. Tucker Company. Primrose Village - Large yard and wood deck ready for backyard cookouts. MLS#21633281. RE/MAX Legends Group. Glen Ridge Commons - Don't delay because homes in this community DO NOT LAST LONG! MLS#21633815. Durlacher Realty Group LLC. Bentwood Park - Neighborhood has playgrounds, trails & districted for Avon schools & also close to the convenience of Plainfield shopping & interstate access. This is a must see! MLS#21632425. F.C. Tucker Company. Holiday - If looking for space this one has it. MLS#21633117. Brince Realty LLC. 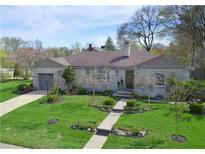 This home sits on almost a half acre to there is plenty of space to sit outside and enjoy your yard! NO HOA!!!!! Open floor Plan!! ! MLS#21630948. CENTURY 21 Scheetz. Braemoor - A great place to call home. MLS#21632792. RE/MAX Results. 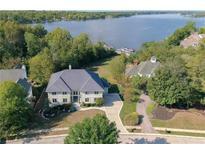 Cumberland Lakes - Warren Township Schools, Close To Shopping & Interstate Access. MLS#21633015. In-Site Real Estate Services.